Tom has been a resident of Myrtle Beach over 30 years and a Realtor the past 28. 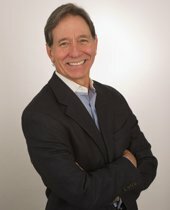 He has been ranked in the RE/MAX top ten in the state a number of times and is a RE/MAX Hall of Fame member. Tom specializes in assisting people in selling or buying homes or condos on the beach, golf course, waterway or the best neighborhood locations. His expertise in the local market and experience with forecloses and short sales insures he will find the best deal available. Tom has owned a number of investment properties along the beach and is glad to share his knowledge concerning the pitfalls, cash flow, HOA management, rental management and the best return on investment properties. He has a strong work ethic and is committed to helping his clients achieve their goals with reliable honest information. Listing courtesy of RE/MAX Ocean Forest , Thomas Hale.